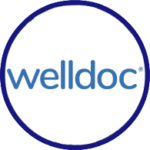 WellDoc® is a leading digital therapeutic company revolutionizing chronic disease management to help transform lives. Our groundbreaking technology is guiding individuals through the complicated journey of living with chronic diseases, with a goal of helping individuals self-manage their conditions to achievesignificant clinical outcomes and cost savings. We began our journey by mastering diabetes managementsolutions and are moving rapidly into creating additional tools for managing other chronic diseases including hypertension, chronic obstructive pulmonary disease (COPD) and congestive heart failure (CHF). We are the first digital health company based on a life science business model with a foundation that is built on randomized clinical trials that demonstrate significant clinical outcomes. We have taken an aggressive and innovative approach that utilizes sophisticated logic, precise algorithms, and artificial intelligence (AI), which integrates the most advanced mobile technology and behavioral insights. WellDoc partners with, collaborates with, and is backed by top healthcare companies (including Merck and Johnson and Johnson), leading innovators, dedicated investors, and top mobile technology companies (such as Samsung). WellDoc® is a founding member of DTA. For more information, visit www.welldoc.com.